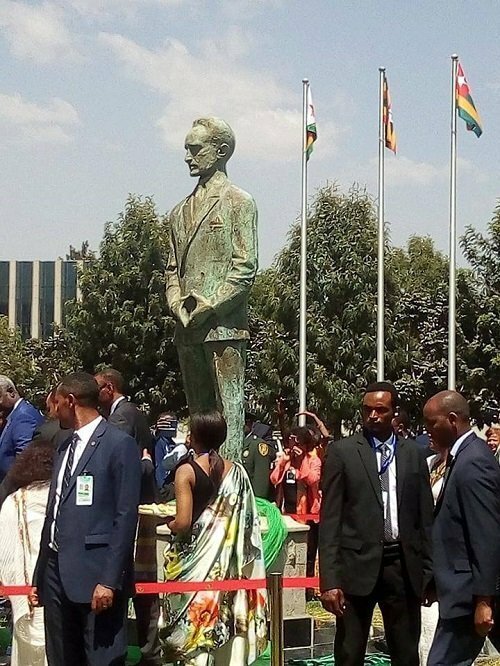 As the 32nd African Union Head of States summit kicks off, the statue of Emperor Haileselassie I erected in the premises of African Union Head Quarter in Addis Ababa is officially inaugurated earlier today. African Union Chairperson,Moussa Faki Mahamat, president of Rwanda – Paul Kagame, president of Ghana -Nana Akufo-Addo, and Prime Minister Abiy Ahmed officially unveiled the statue of Ethiopia’s emperor who contributed a lot for the liberation of Africa, among other things, during his life time. One Response to "Emperor Haileselassie I Statue at African Union headquarter officially inaugurated"